MailChimp is a great solution if you need to start small with a free option and then potentially grow into more feature-rich, paid options. 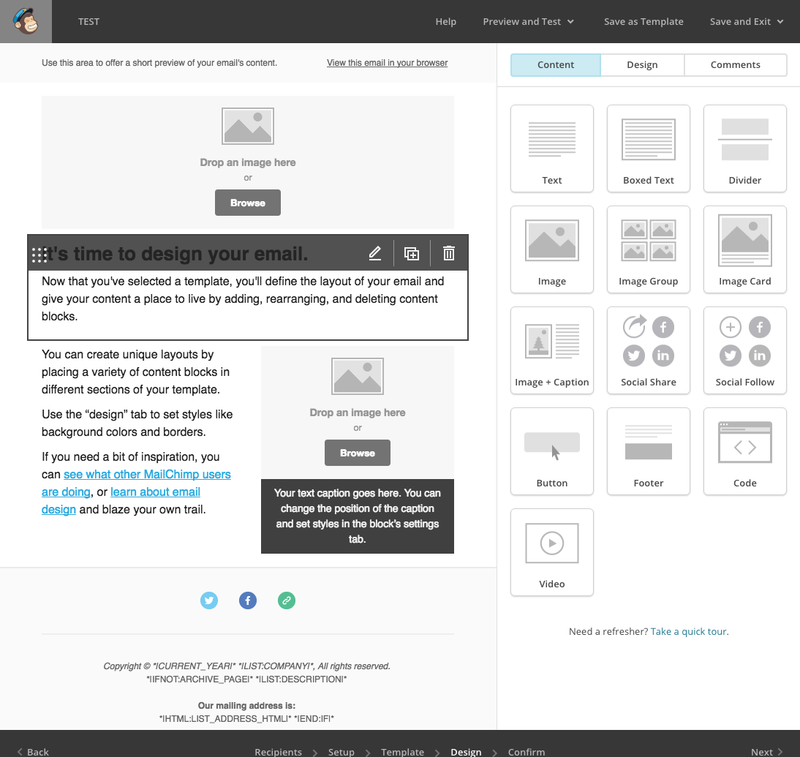 MailChimp has about 30 pre-designed templates you can start with, most of them mobile-friendly. 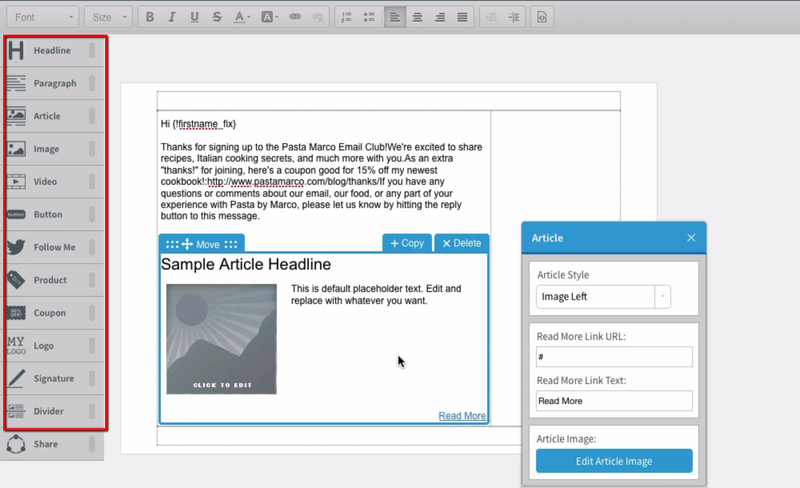 Their drag and drop editor allows for quick and easy email creation. You also have the option to paste in your own HTML. 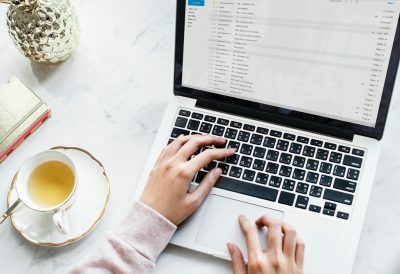 Since emails render across all email clients and browsers very differently, testing is always necessary – especially if you are not using templates, but designing and coding your own emails. 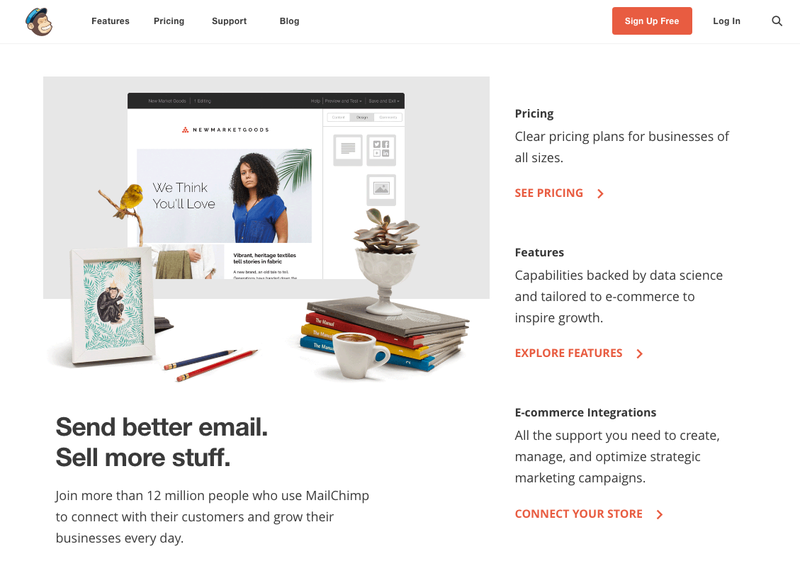 MailChimp has a feature called Inbox Preview which is powered by Litmus and is available for paid customers ($10/month+). Each email client test costs one token. Paid customers at the lowest level receive 25 tokens each month and Pro customers receive 1,000 tokens each month. MailChimp also analyzes your past sends and suggests which email clients you should test in based on your subscriber list. I tested an email in Apple Mail 8, Outlook 2007, and Android Gmail for three tokens. MailChimp uses an open API for creating custom integrations. PayPal, Google Analytics, Shopify, FreshBooks, Salesforce, SurveyMonkey, and MailChimp integrations already integrate with MailChimp. Each campaign sent has reports showing the number of opens, clicks, unsubscribes, and complaints. MailChimp also lends performance advice by comparing your open rate with your industry average and your list’s average. If you have fewer than 2,000 subscribers and are sending fewer than 12,000 emails per month, MailChimp has a free version just for you. 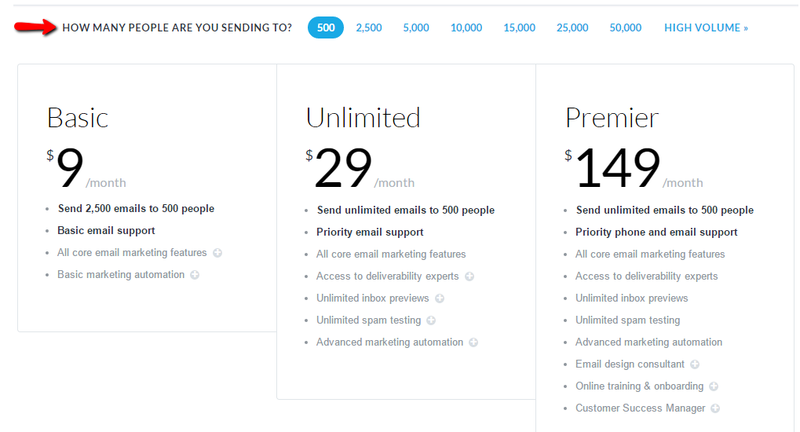 If you exceed those numbers or want extra features, MailChimp has a number of monthly plans to choose from – ranging from $10/month for up to 500 subscribers and up from there. Pro subscriptions are an extra $199/month. 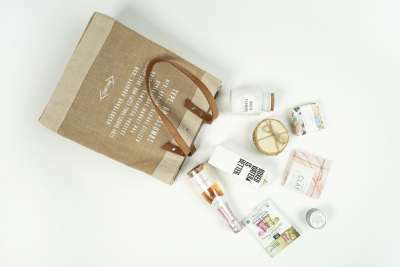 Their pricing model is a bit confusing and varies based on your specific needs, but they have an easy-to-use pricing engine. 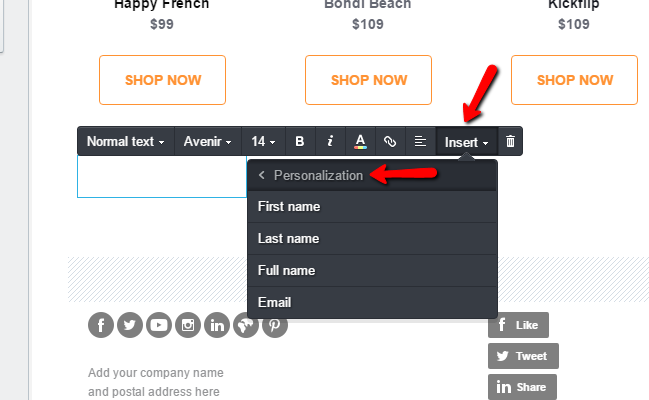 You can change the from name on your email without having an account set up for that name. The free option works well for people just getting started with basic email marketing, and the prices for more features are very competitive. A/B test functionality allows you to test subject lines, from names, content, and send times. MailChimp does not allow you to send one campaign to multiple subscriber lists. You can’t resend a campaign to another list. Instead, you have to duplicate it and create a new campaign. Importing a large email list into MailChimp can temporarily suspend your account. Generally, MailChimp will require you to re-opt-in your email list through their form system, which can easily decrease the list size. Angela Noble runs Noble Intent Studio with her partner where she specializes in email marketing, print & web design, and branding. You can find out more about her and view her portfolio at http://angelanoble.com or follow her on Twitter Angela Noble on Twitter. AWeber is an affordable email marketing solution for building optimized subscriber lists, creating drag and drop email designs, and quickly setting up autoresponder campaigns. AWeber features one of the easiest ways to create scheduled autoresponder campaigns. The interface is very intuitive. All you have to do is drag and drop “actions” to create the perfect autoresponder campaign. You can rearrange and change details as needed. You don’t need coding skills to create beautiful email campaigns thanks to AWeber’s simple drag and drop interface. Just drag an element into the email body and you’ll be designing your email in no time. You can quickly add images, social media icons, coupons, and more. 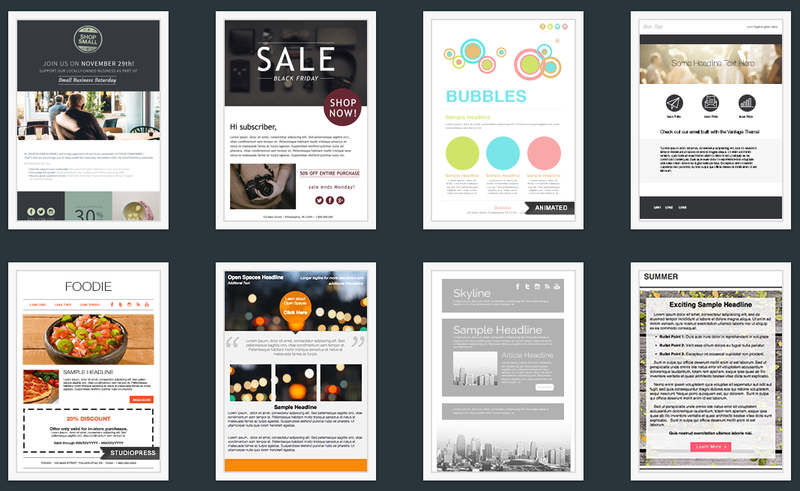 If you don’t want to design your email yourself, you can make use of one of AWeber’s 700+ email templates. 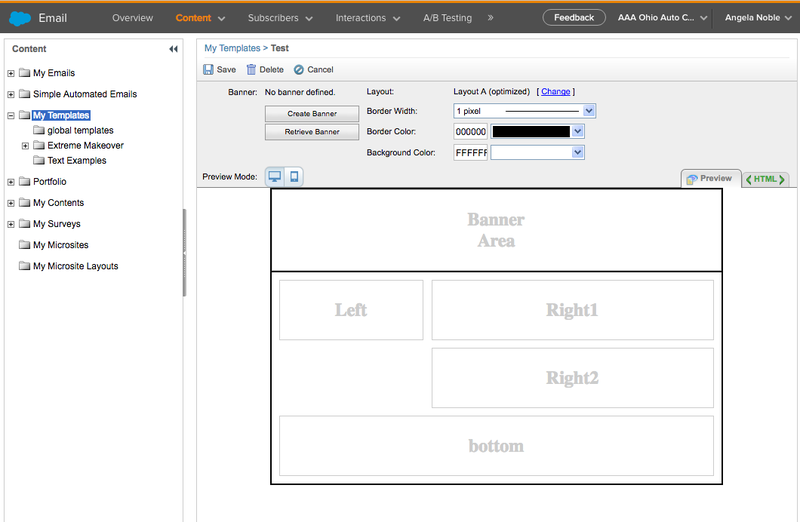 All you need to do is fill in the template’s text and images, and your email is ready to send! AWeber offers another 700+ signup form templates to help you maximize your list-building efforts. You can quickly build a form using these templates and AWeber’s form wizard. They also include a split-testing tool so you can find the signup form which works best for your site. If you’re already using other tools to build your subscriber list, AWeber probably integrates with them. 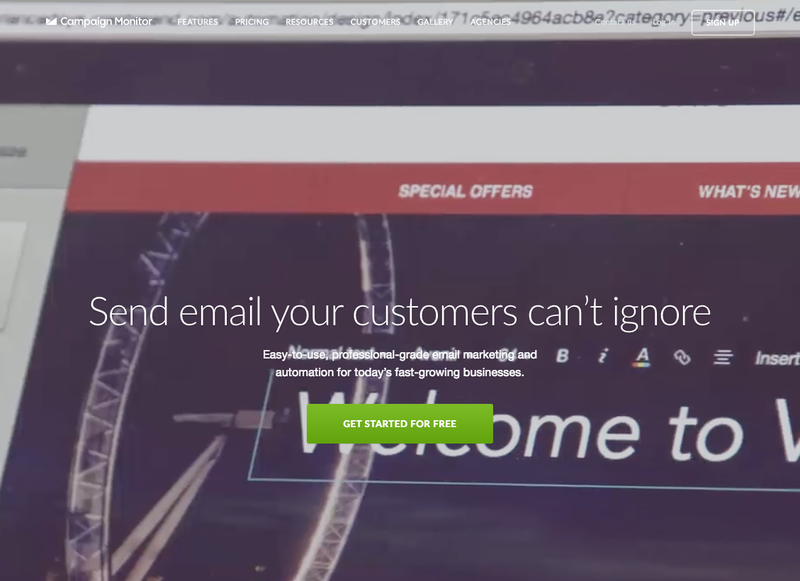 You can easily hook up with OptinMonster, Leadpages, OptimizePress, and many others. After you’ve sent emails to subscribers, you can quickly view all the relevant statistics like opens, clicks, bounces, unsubscribes, and more! AWeber even offers a mobile app so you can view your stats on the go. Unlike some other services, AWeber offers everyone free customer support with U.S.-based agents via telephone. Support is also available via email and live chat. Because email marketing never waits, AWeber’s phone support is available on weekdays from 8 a.m.-8 p.m. EST. On Saturday and Sunday, live chat support is available from 9 a.m.-5 p.m. EST. AWeber also offers a very detailed knowledge base for those who prefer to find the answers on their own. AWeber charges per subscriber, not per email. You get unlimited emails for your relevant list size. Pricing starts at $19/month for up to 500 subscribers. 501-2,500 subscribers is an affordable $29/month. Beyond subscriber limits, there are no separate tiers – all plans include the exact same features. You can also opt for quarterly or annual billing to save some money. Overall, AWeber offers heaps of templates, easy autoresponders, and helpful segmentation for an affordable price. And if you’re an affiliate marketer, you’ll love that you don’t need to worry about being banned with AWeber. Brenda Barron is a writer and WordPress specialist from Southern California. You can find out more about her at Digital Inkwell or you can follow her on Twitter @digitalinkwell. Campaign Monitor helps you build subscriber lists, send beautiful emails, and target people with marketing automation. Campaign Monitor cuts down on design time by offering email templates. These templates are conveniently divided into categories, so you can easily find one that matches your goal. If you don’t see a template that will work for your needs, you can always import your own HTML code or send a plain text email. Once you’ve picked your template, the drag and drop editor makes final adjustments a breeze. You can add your logo, new elements, and personalization. For example, if you want to address subscribers by their first names, you just need to open a drop down menu. No messing around with merge tags! When you create a new campaign, you can choose either a regular campaign or an A/B test campaign. If you’re looking to optimize, you can choose the A/B test option. Then, it’s just a matter of selecting what you want to test. Signup forms: Easy-to-use sign up forms help you build your list. Journeys: Journeys are essentially autoresponders. They allow you to send a preset series of emails to subscribers. 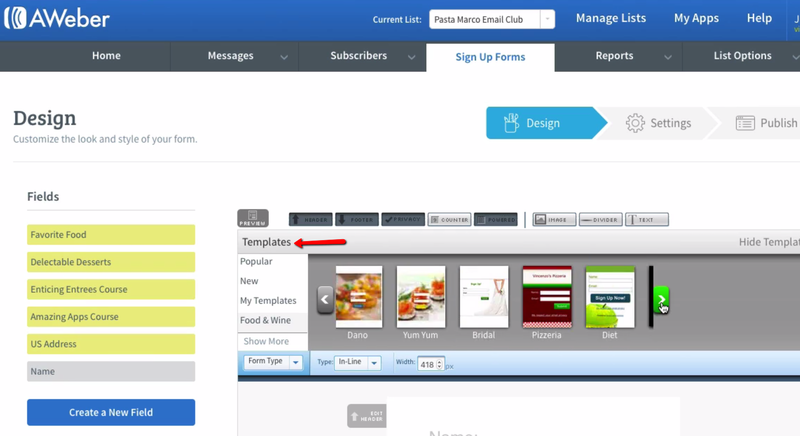 Plus, you can automatically change the sequence depending on actions your subscribers take. Custom fields: These let you store additional data about your subscribers. Segments: Segmentation allows you to drill into your list and create segments of subscribers who meet specific criteria. If something goes wrong or you ever need help, Campaign Monitor offers 24/7 support via email. Premier plan members get phone support, but it’s not 24/7. They also have a detailed knowledge base for common issues. Campaign Monitor offers more than 250 third-party integrations in their app store. You can hook it up with Shopify, SalesForce, WordPress, and plenty of other services. They also have their own API if you want to create a custom integration. 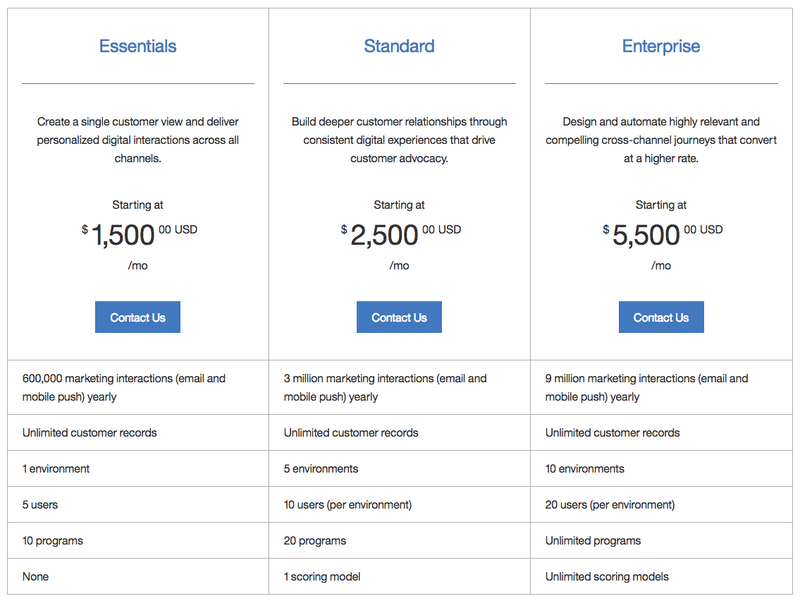 Campaign Monitor offers three pricing tiers for each subscriber level. Plans start as low as $9 per month. 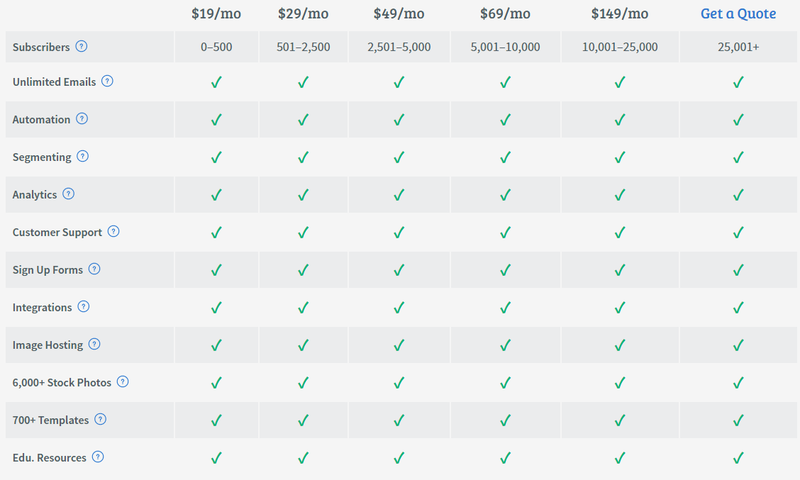 Once you select your number of subscribers at the top, you can choose whether you want a cheaper limited plan, a more expensive unlimited plan, or the full premier plan. 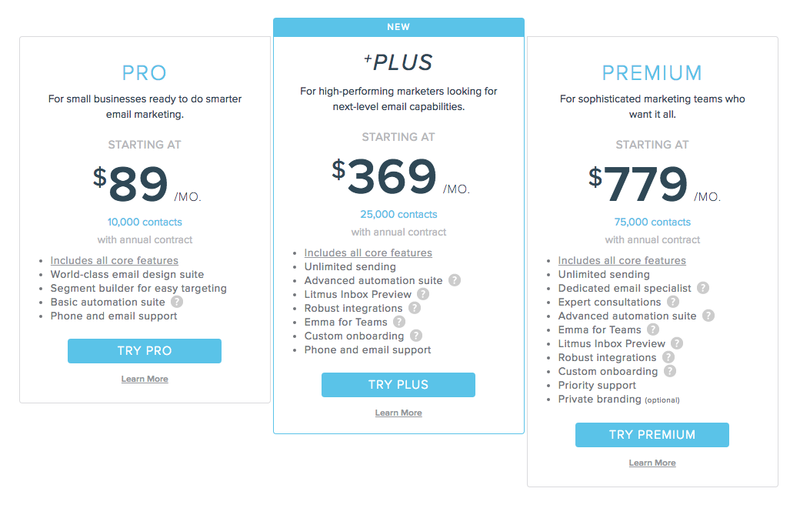 Other providers like MailChimp and AWeber only charge by subscribers, so the option to choose a cheaper plan with limited emails might be a selling point depending on your usage. All in all, Campaign Monitor offers an excellent email marketing service, but at a slightly higher price than some of their competitors. 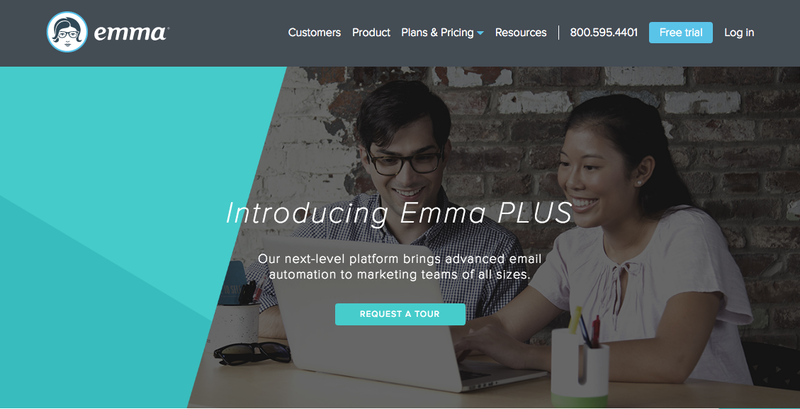 Emma provides automation, segmentation, and dynamic content on top of an easy-to-use interface and templates. There are more than 100 mobile-ready templates to choose from for super quick design. The drag and drop function allows for creating and moving content and images, as well as other design features, to get the best layout for your content. You can move any item, add an item, and change the sizes with ease. Then preview what you have done to see if you need to make changes before you send. They have designers on staff to help Plus and higher level users create even better designs. You can automate responses based on the activity of recipients. Advanced automation allows you to create welcome and follow-up emails that are automatically triggered based on the activity of the recipient. This makes it super easy to stay in touch with people in the right way. Emma enables you to easily divide your lists into unique segments which allow you to send targeted, relevant messages. 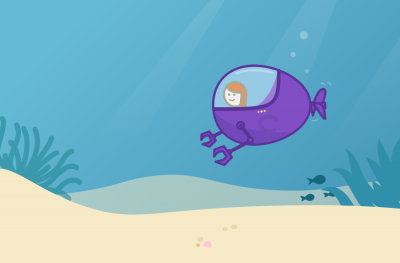 Emma enables you to deliver unique content to individual subscribers by using subscriber information to determine the content that is delivered to their inboxes. It’s similar to personalization, but you can use it for whole sections of text, one or more content blocks, calls to action, or even an entire email’s content. You simply create one email, and put all versions of your content in. Then, using if and else tags, you can use subscriber data or segment data to display the appropriate piece of content for that subscriber. 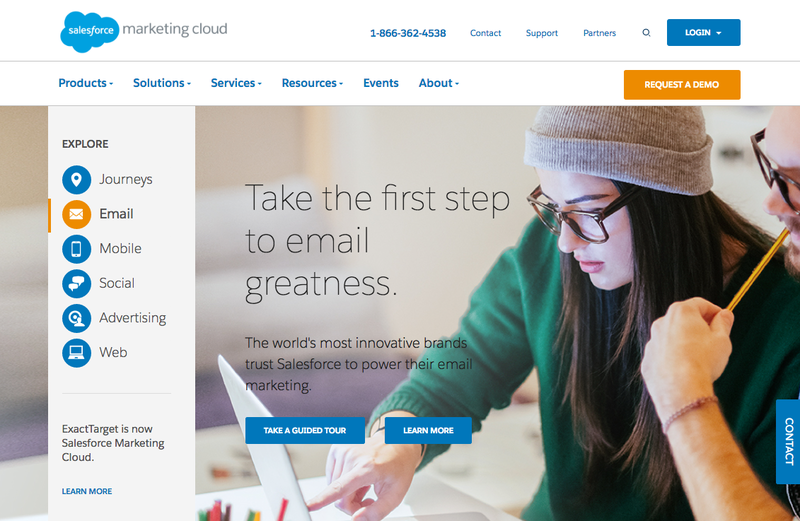 Built-in integration with Salesforce, Shopify, and more let you make sure your email marketing efforts are integrated with your CRM and more. Plus, their open API allows you to create custom integrations, but it’s only available to Plus level and higher users. 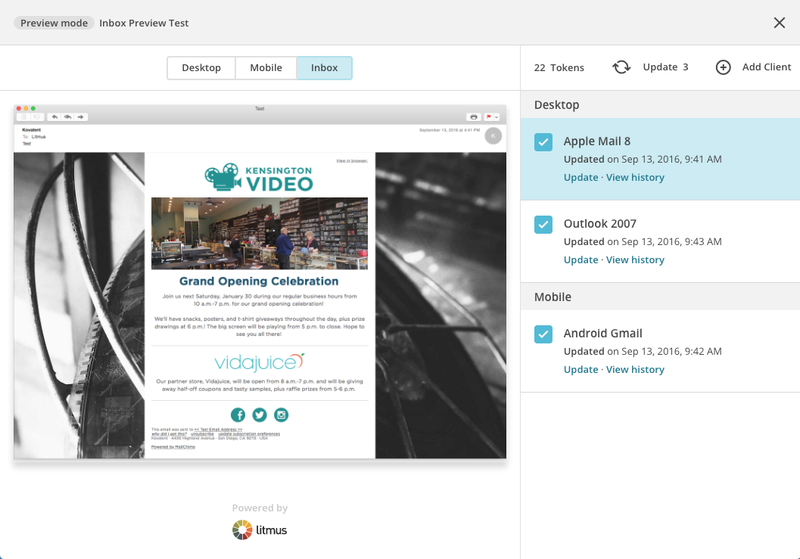 Litmus Inbox Preview, available to Plus level and higher users, lets you test your email code as displayed in various email clients and devices. This is especially important if you’re creating custom code, or really customizing the templates. Emma has great tracking and reporting features so that you know who opened, clicked, shared, or opted out, and what type of device they were using. You can then build another list based on this information. Emma also gives you a performance indicating score – the higher the number, the better you did. Emma’s support is very responsive when help is needed in a timely fashion as well as troubleshooting issues that arise. They have both email and phone support as well as a community forum to troubleshoot issues. The pricing is based on the number of subscribers you have. Pro level starts at $89/month for 10,000 subscribers. Plus starts at $369/month for 25,000 subscribers. This gives you unlimited sends, advanced automation, Litmus Inbox Preview, access to the API for custom integrations, and better support. Premium pricing starts at $779/month for 75,000 contacts and includes a dedicated support person, consultations, and more. See more information about Emma’s Pricing here. They also offer an enterprise option for agencies and universities, but you have to contact them to get pricing for this option. You can also purchase the service on a month-to-month basis. Pricing is definitely higher than other ESPs, and is targeted to medium-sized businesses that want personalized services Emma offers. You can sign up for a 14-day trial to give it a try before committing. Formatting text can be a pain. It would help to have better formatting options for line text and spacing. Limited A/B test functionality only allows testing subject lines. API is only available at the Plus level and higher. Summer Gould is President of Eye/Comm Inc. She has spent her 25-year career helping clients achieve better marketing results. Email Summer at summer.gould@eyecomm.org, or find her on LinkedIn or Twitter @sumgould. 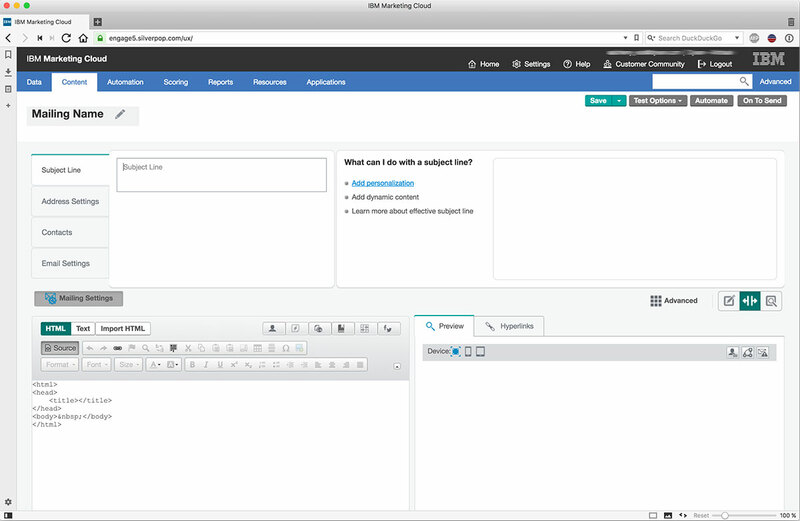 Salesforce Marketing Cloud (formerly ExactTarget) is an enterprise-level ESP. It’s primarily used by larger businesses who have very large subscriber lists (100,000+) and many emails to send out on a regular basis. Salesforce Marketing Cloud (SFMC) is an extremely feature-rich platform and is only cost-effective for large organizations. 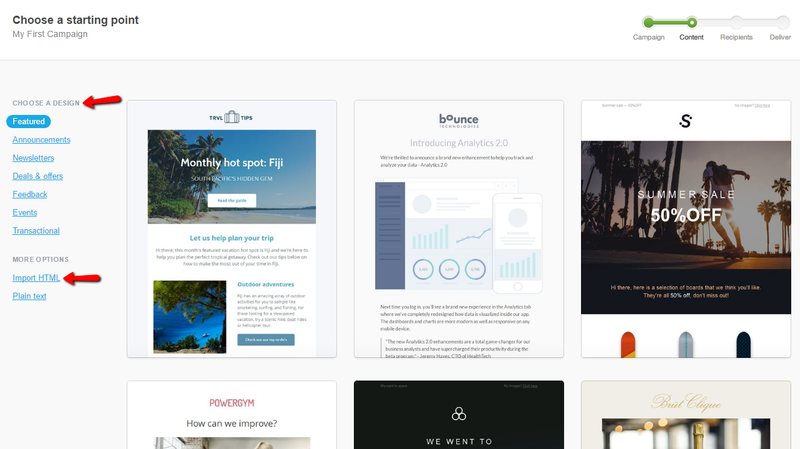 The email template creation is very simple and you also have the ability to create “Flex templates” which are drag and drop content areas that have been pre-created and tested to fit into an email layout as a whole. This makes it easy for anyone to create an email from scratch without getting involved in the HTML coding, but is limiting in terms of design. These do however need frequent testing as SFMC does like to add code within the content blocks which might break them in certain ISP/Email clients. Of course, you can always paste in custom HTML code rather than using templates. 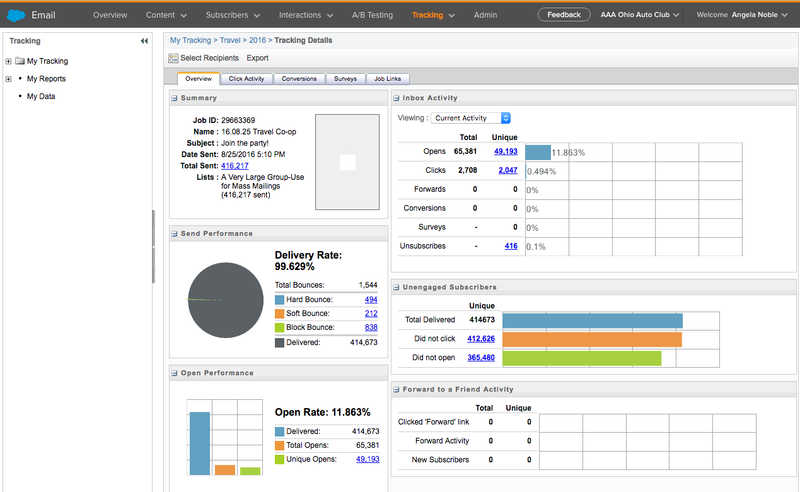 Salesforce Marketing Cloud’s tracking and reporting features are top-notch. They allow you to drill down into individual subscriber data like times of opens, links clicked, and survey results. 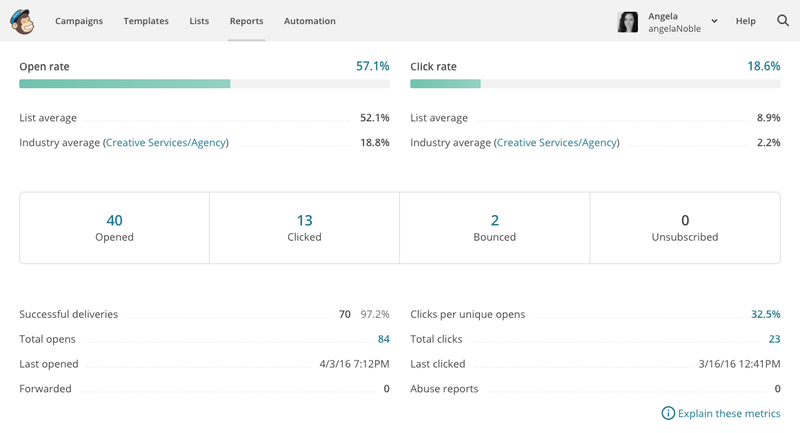 There are a number of ways to look at click data, including an email overlay view where you can see the percentage of clicks on particular areas of the email, link views where you can see a list of all the links and the total and unique clicks. The system is quite robust and can do a lot of clever integrations with external systems and databases which all seamlessly work together if they are set up correctly. 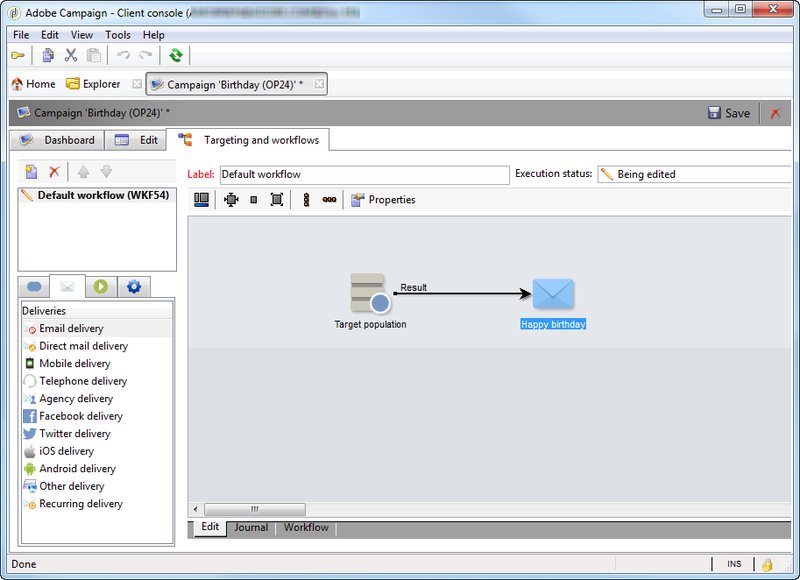 Automated emails can be set up to send based on connected database triggers. For example, Angela worked with AAA Ohio Auto Club to create Triggered Emails for AAA. Depending on the assistance they needed (battery jump, flat tire help, etc.) a targeted email was sent letting them know AAA was happy to assist and giving them helpful tips and related promotions. This type of advanced targeted automation is possible when databases can be connected to SFMC. SFMC’s subscriber lists are categorized into Lists, Groups, and Data Extensions. You can separate out lists and groups into more lists and groups, as well as import .csv files as data extensions. To adequately test your code, you’ll need a separate Litmus or Email on Acid subscription as there is no Litmus integration as we’ve seen in MailChimp and Emma. But, there are great built-in features to test your data extensions and dynamic content are working properly. Using SFMC’s “Send Preview” functionality, you can preview the different dynamic content variants prior to sending a test to ensure that everything is working as it should. 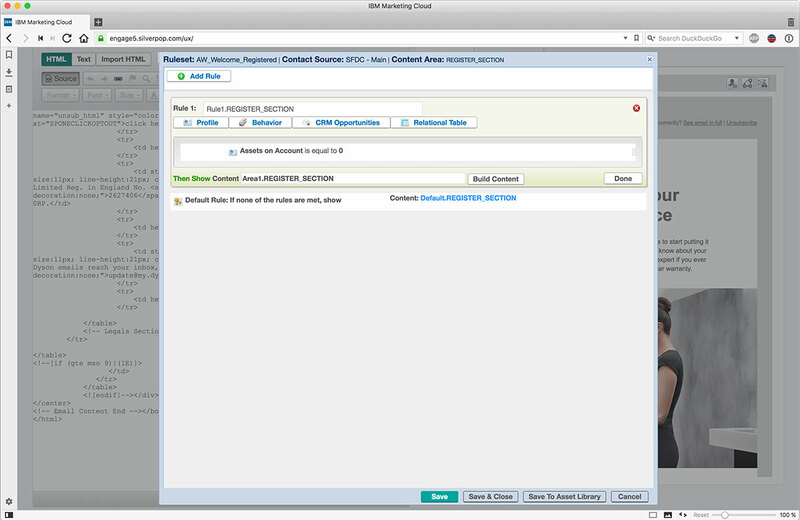 Sending using a “Guided Send” can be used as a test send or the live send as there is the option to remove the send stats from the reports. Salesforce Marketing Cloud does not offer monthly plans. The pricing is determined by speaking with one of their Account Executives who will put a plan together based on your email volume. Since they primarily serve large corporations, expect their pricing to be in the $10,000+/year range. Ability to use data extensions which allows us extensive personalization for each subscriber. Easy-to-use A/B testing capabilities to test different subject lines, designs, content areas, from names, send dates/times, and preheaders. The use of data extensions is great if you do not have a master list that is automatically updated on a regular basis. These extensions have the same capabilities as the lists. The standard reports give you all the basic information that you need and exporting into a CSV is simple enough. The issues with reporting come when you venture into their Discover package (see the cons section below for more details). The overall platform is fairly easy to use on the whole. Subscriber management is not intuitive. Adding and moving subscribers could be easier. A new user account must be created for every sender you want your emails to come from. Their support staff doesn’t reply in a timely manner. Urgent matters may not be followed up on for days, and often the support staff does not know the best resolution or directs you to their very unhelpful FAQ pages. As robust as the system is there were many times the functionality does not work across certain browsers. And when it does work it would be after MANY attempts. Their system can be extremely slow at times. 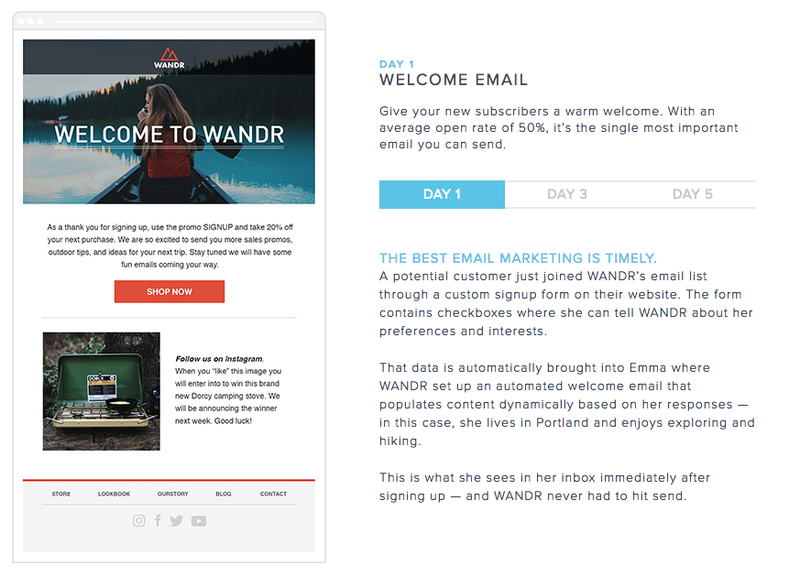 Their Discover Package gives you the “deeper insight” into each email campaign. Giving you stats on mobile devices, engagement deep-dives covering things like engagement over time etc. These reports would have been great if they actually covered anything of value. The Mobile device reporting only seems to cover iOS and Android (no break down into blackberry, etc.). This is a huge limitation on their part. This was also the case for browsers, email clients, etc. Priya Bransfield is a freelance email consultant who specializes in email strategy and implementation. She has experience as part of an ESP as well as on the agency side. She can give advice based on what can and will work within an email technically as well as creatively. Find out more about her on LinkedIn. 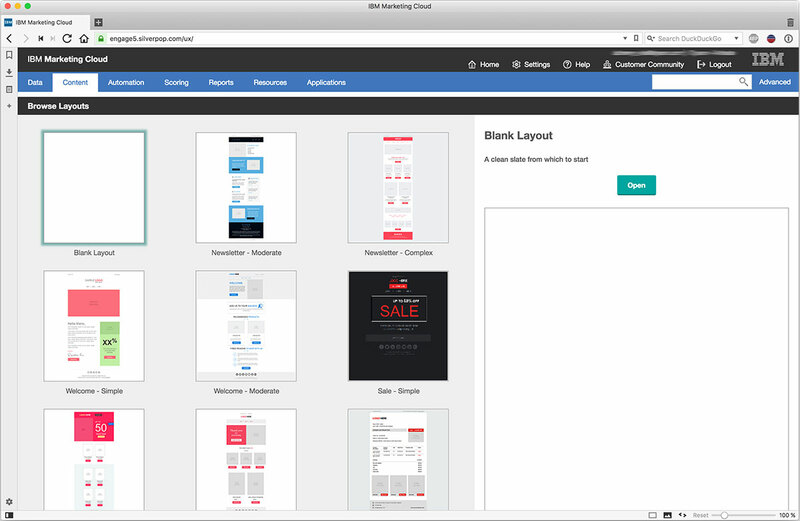 IBM Marketing Cloud (formerly Silverpop) is a market-leading, easy-to-use ESP that gives you the ability to ensure you deliver the perfect customer experience by leveraging customer behavior data. A robust Marketing Automation Suite allows you to nurture and manage your leads. The drag and drop functionality along with the ability to integrate different apps into the program gives you a unique way to communicate with your leads. IBM Marketing Cloud is fairly user intuitive and the logical flow helps in setting up an email and importing lists without difficulty. Setting up a new email can be as easy or as complex as you want to make it. You can either choose from a set of pre-made templates or import the HTML into a blank template. The flow of the email setup is self-explanatory and takes you through each step to ensure that all aspects of the email have been covered for a successful email send. 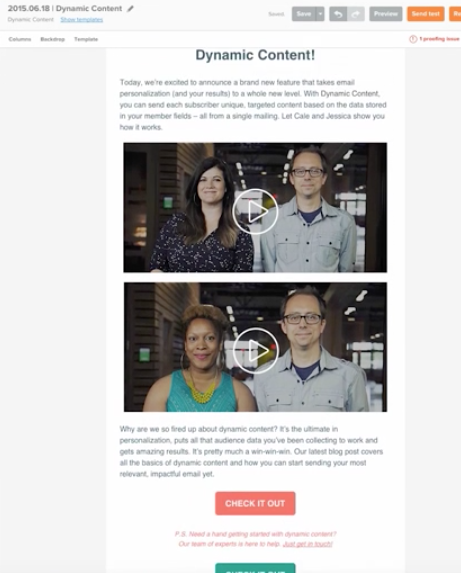 You can also preview dynamic content within the setup and see how each variation will look for an individual recipient before you even send out a test email to a specific test list. Creating rules within a specific segment is also logically set up so that you simply follow the steps to ensure that all criteria has been met. Setting up an automated program is easy with a drag and drop interface. You can have multiple tracks for the user journey and make it as complicated or as simple as your needs require. Using the operators within this section you can have decision points and connect to different channels for the branching options. Whether it’s purely email or you want to branch out the flow into a call center, mobile channel, social channel, etc. the options are varied and can be as complex as needed. 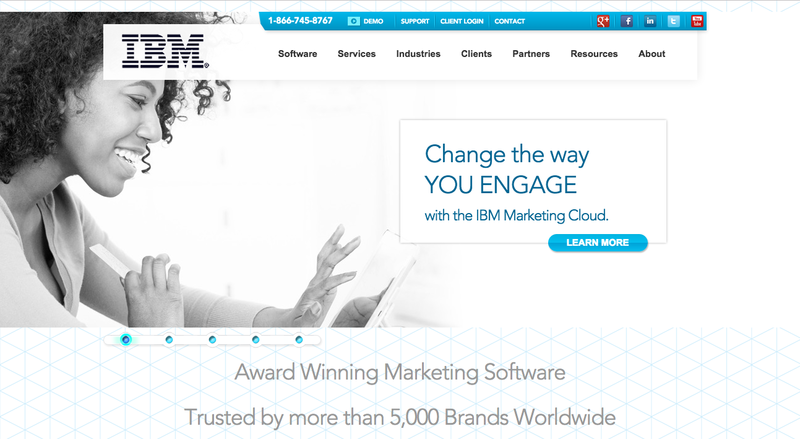 IBM Marketing Cloud is primarily used for large organizations. Their pricing ranges from $1,500/month which gives you 600,000 “marketing interactions” (this could be emails or text messages) to $5,500/month which gives you up to 9 million interactions. The system is user-friendly and intuitive, allowing just about anyone to start creating emails. There is a logical flow to the email setup process which is helpful for beginners or people not familiar with IBM Marketing Cloud. Their dynamic content set up is very easy with drag and drop options and the preview to show how each variant will look for any given data set. Importing data and integrating with the API is simple if you’re used to working with APIs. Reporting is great and includes deep dive results which give you the information you need to learn for future campaigns. They also have a great integration between email and social channels so all social posts can be monitored via the platform and all results can be combined with the email results. The system is prone to outages and there was a security risk a while ago where data was hacked. Their support is good, however, if you are working on behalf of an agency and you are managing more than one account – the support staff tends to get confused. 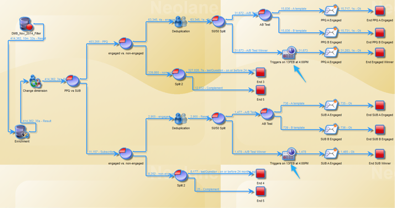 Their Automation flows (Journey Builder type) is not as intuitive as it could be. On the surface it seems very easy, however it is difficult to set up complex automated journeys. 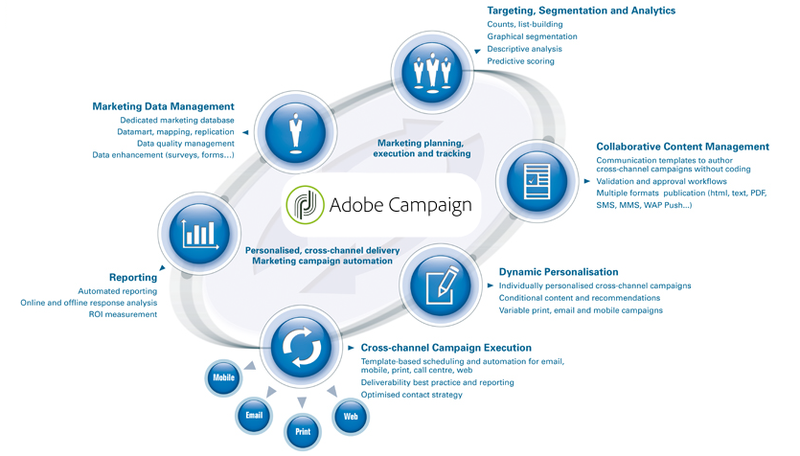 Adobe Campaign is a flexible, robust cross-channel marketing automation tool that is both feature rich and customizable. It has all the bells and whistles of a standard ESP. Utilizing a visual workflow model allows for rich personalization, dynamic content, multiple scheduled deliveries, variant testing and includes out-of-the-box standard reporting. Adobe Campaign includes real, REAL-TIME event triggers for businesses that require real-time data for personalization and relevancy. 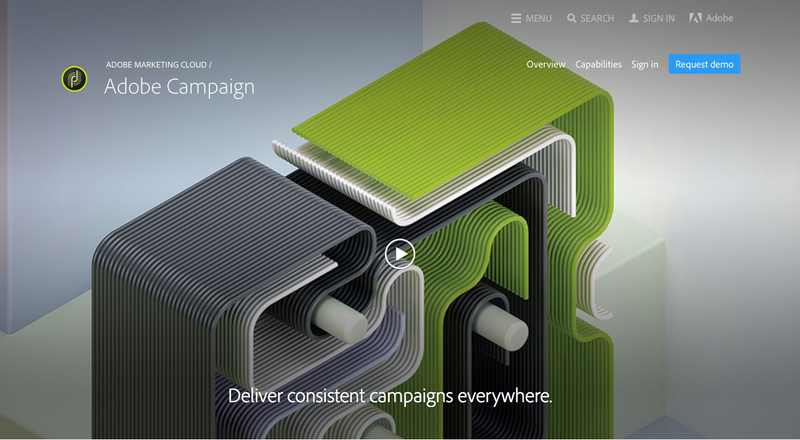 Adobe Campaign’s enterprise edition can be implemented with multiple environments (Dev, Stage & Production) to support the most complex and sophisticated programs. 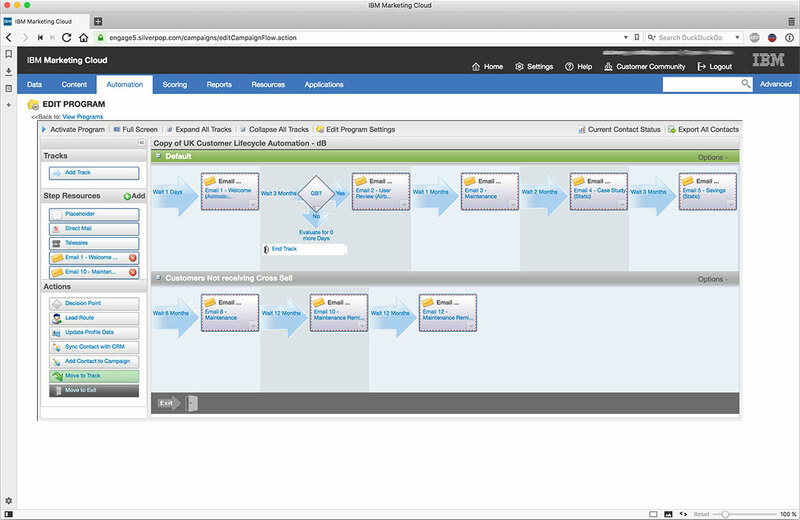 Automated lifecycles can be built to support customer behavior as well as real-time transactional add-on capabilities. The sky’s the limit with this tool – if you can dream it, chances are you can achieve it within the Adobe Campaign Enterprise offering. There are multiple approaches that can be taken to achieve the desired result. Customer Profiles and web analytics are also customizable. Workflows can support SMS as well as offline channels and Customer Service integrations (i.e. The customer takes an action from an email that requires Customer Service to follow up and reach out directly to the customer – a workflow can support notifying Customer Service when that action is taken). There are no limits to how many workflows can be built to support an automated lifecycle as well as batch & blast marketing campaigns. Winners to variant testing can be determined automatically or manually. You can create what are called “typology” rules for campaign prioritization and for global changes that need to touch envelope information or even IP address designation. The pricing is determined by speaking with one of their Account Executives who will put a plan together based on your email volume, number of contacts and required level of customization. Since this offering primarily serves large corporations, expect their pricing to be in the ballpark of $90,000+/year range not including implementation costs. While I’m unable to share my former contract pricing due to a non-disclosure agreement, I can share that when I did a contract renewal with Adobe Campaign earlier this year, I did a new ESP evaluation and received quotes for equal service offerings from other providers in the same space and found Adobe Campaign to be competitively priced for their enterprise on-premise solution. They do offer a cloud solution which is not as robust in the offering but also an attractive solution for businesses that do not require data on premise, real-time data, and cross-channel integrations. 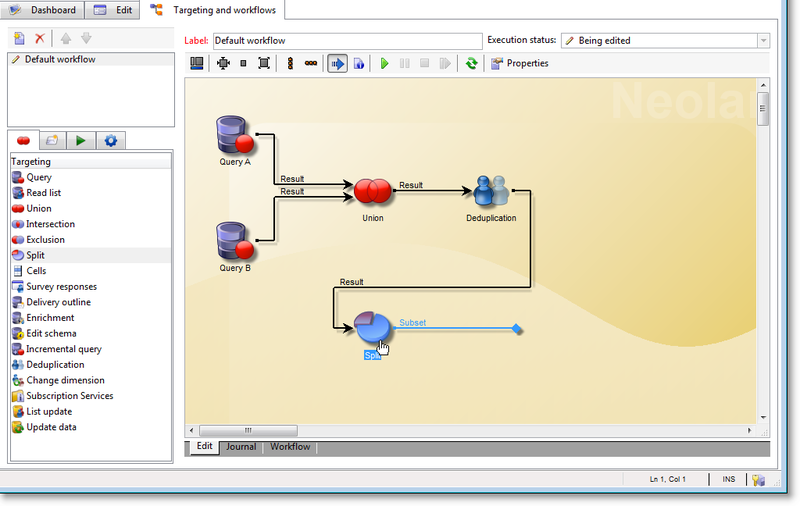 Visual workflow design which allows multiple approaches to achieve desired results for targeting and segmentation. Robust Marketing Automation & Lifecycle capabilities. True cross-channel platform built from a single source code. Very flexible & customizable solution to meet even the most complex business requirements. Integrates with the Adobe Marketing Cloud suite for deeper integrations with solutions that enhance the Adobe Campaign offering such as Adobe Target, Experience Manager, Analytics & more. Error Reporting is non-existent without customization which can be frustrating when you have 100+ automated campaigns running. Finding something broken can be like trying to find a needle in a haystack and requires manual audits often to avoid issues. Out-of-the-box general reports are a bit lackluster, but customizable reports can be built with advanced user knowledge. Kara Douglas is an award-winning Email Marketing Leader with more than 18 years experience. Kara’s 360 degree knowledge of the email landscape stems from educating customers from the ESP side on email best practices to managing sophisticated email marketing automation programs. Currently she is the Sr. Strategist with her consulting firm experienceBOOST.com You can find her on Linkedin or follow her on twitter @karadsf or @expBOOST1.